This is a complete drop in replacement Dell Axim x50v mainboard. If your Axim logic board has processor or memory issues, this is the correct replacement Dell Axim logic board part, supplied complete with sync charge socket. 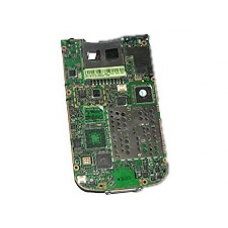 * 64 MB of SDRAM and 128 MB of Intel StrataFlash ROM. * Integrated SD Memory Expansion Slot (SDIO). * Operating System Microsoft Windows Mobile for Pocket PC 2003 Second Edition.